IMPRESSIVE: Aapo Halme almost scores after coming on as a substitute for the injured Liam Cooper. Picture by Simon Hulme. 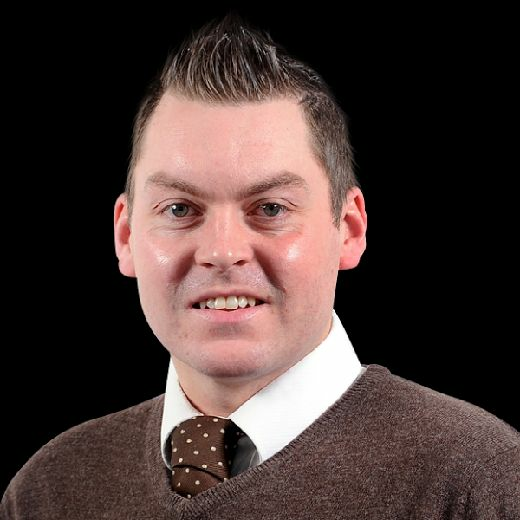 AFTER seeing Leeds United finally win at Bramall Lane for the first time since April 1992, Lee Sobot looks at a few key talking points from Saturday's derby victory. Whites head coach Marcelo Bielsa insisted in his pre-match press conference that he had not noticed any great difference in Jansson's performances under his guidance this season compared to those last term under Thomas Christiansen and then Paul Heckingbottom. But Jansson definitely appears in fine fettle and the Swede returned from a two-game absence from a foot injury with a domineering performance as part of a back three. Furthermore, Jansson is now going to be more crucial than ever to United's cause with skipper Liam Cooper clearly facing a lengthy spell on the sidelines with a serious knee injury. Cooper's injury was the only sour note on an otherwise fabulous day. Bielsa again kept the faith with Alioski on the left wing as the Macedonian continued the trend of starting every league game so far this season. But there must be doubts about that trend continuing come next weekend's hosting of QPR with Alioski taken off at half-time for the second game in a row. In his place, 18-year-old Jack Clarke produced a strong display on the left flank, almost scoring and then crucially showing wonderful composure to set up Pablo Hernandez for the only goal of the game. Bielsa now has a big decision to make as to who starts on the left against the Hoops but the head coach again reaffirmed his fondness for Alioski in his post-match press conference. With Clarke still learning his trade, it might still be that Alioski again starts against QPR though there is no denying the Macedonian needs to produce more than we have seen of late and bring more to the table than just his work rate. 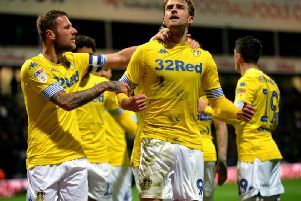 Saturday's success temporarily sent Leeds to the top of the table though Norwich City then pooped the party when recovering from 1-0 down to see off Rotherham United and stay one point clear of United in second. But defeat for the Blades and also Middlesbrough's reverse at home to Aston Villa has suddenly opened up a four point-gap back to third-placed Boro though West Brom are just one point further back in fourth with a game in hand that comes at home to 18th-placed Brentford on Monday evening. All eyes on that as part of an exciting Monday evening that also features the FA Cup third round draw and and all eyes also on the gap back to the teams outside of the play-offs which still only stands at five points with Derby County now seventh, three ahead of Villa. Still pretty tight but gradually the division is taking shape and two more wins at home to QPR and away at Bolton Wanderers would leave United in excellent shape ahead of the trip to Villa on Decemeber 23. Injuries are obviously the concern. There were several excellent Leeds performances with Kalvin Phillips continuing to impress at centre-back and Adam Forshaw putting in a strong shift in centre midfield. Phillips is having a blinding weekend with the Whites ace also celebrating his 23rd birthday today. But special praise should be made for giant Finn Halme who stepped up to the plate superbly faced with an almighty task when brought on for the injured Cooper after 21 minutes. Halme might be ginormous at six-foot-five but Saturday's outing was only the 20-year-old's second appearance in English football and you would never really have guessed bar the odd scare. Indeed, the Finn almost scored with one of his first touches of the game. Halme is said to be a very relaxed and chilled character - one that seems unfazed by big demands - and if he can continue to fill the void left by Cooper that will be music to Bielsa's ears, be that in a back three alongside Jansson and Phillips or as part of two centre-backs though it has to be said that one more injury in that department really would be grim news. Still, it's onwards and upwards and Saturday's success was also achieved without Samu Saiz even being called for and what a player to have on the bench. There is no hiding the clamour for Leeds to play in yellow when away from home - be that because of tradition or the fact that Leeds then look like Brazil. But in recent times blue and black away shirts have taken precedence until the unveiling of the splendid new third yellow away shirt in readiness for the encounter against the white and blue stripes of West Brom before the international break. Sadly, a bit of a recent trend continued with Leeds walloped in yellow - as was the case when Garry Monk's side were thumped 3-0 at QPR in the the colour in August 2016. Monk's men also lost 2-0 in the yellow shirt at Brighton that December before another 2-1 reverse in the colour at Huddersfield Town in February 2017. Leeds then again donned yellow for the trip to Reading on April 1 2017 and, you guessed it, again lost 1-0. But the curse if there was one has been broken with few better sights than the Whites winning in yellow.